In the summer of 2006 the Louisiana Parole Board released David Alexander and Harry Granger after 30 years of false imprisonment for a 1976 New Iberia, LA robbery/murder. Arguing their innocence before the Board alongside CM was a former Sheriff and a former Deputy Sheriff of Iberia Parish, both of whom knew that these men were framed by a preceding set of corrupt Sheriff Officers. The most significant discovery of CM’s investigation revealed that two of the three real killers had been arrested unrelated charges and ended up confessing multiple murders including the Gladu murder. The killers even told the corrupt Sheriff where to find the buried murder weapon. That Sheriff would convince the killers to retract their confessions because he had already indicted 6 innocent men, including David and Harry, for the murder of Louis Gladu. CM’s 10-year battle included getting CBS 60 Minutes to profile this gross injustice in 1998 with the national broadcast of “Who Killed Louis Gladu?” Nevertheless, the entire state and federal judiciary refused to consider habeas petitions detailing the evidence of innocence. In a last bid for freedom, only the Parole Board heard our pleas for justice. David Alexander and Harry Granger both live in Louisiana near family. David Alexander and Harry Granger at Jim's retirement celebration. On March 30, 1976, Preston Demouchet and Jerry Paul Francis, men with violent criminal records, robbed the Hasty Mart convenience store in rural New Iberia, Louisiana, and fatally shot its elderly sole proprietor, Louis Gladu. Malcolm Roy drove the getaway car. On May 10, 1976, after laying low for a while, Demouchet and Francis renewed their crime spree with the robbery and killing of another elderly sole proprietor in a hardware store in nearby Rayne, Louisiana. Then, on May 26, 1976, they robbed and fatally shot a lone bank teller at a small branch in Parks, Louisiana which brought in the FBI who pursued the two men to Houston, TX where they were arrested. Within days of his return to Louisiana to be prosecuted by state officials, Jerry Francis confessed to the entire string of crimes. He also led Sheriff’s Deputies to the weapon he said was used in the Gladu murder. Ballistic tests on the revolver confirmed it was the murder weapon used in the Hasty Mart murder as well as the other two fatal shootings. Jerry Francis named Malcolm Roy and Preston Demochet as accomplices in the Hasty Mart slaying. When deputies picked up Roy, he promptly confessed. The confessions by these two men were consistent with each other and contained elements that only the real killers would know. For example, Francis told the authorities that Gladu was wearing glasses which fell off his face before he was shot; that packages of cigarettes were knocked off the counter to the floor; and the cash register drawer was left hanging open when they fled the store. However, by the time Francis had confessed to the Hasty Mart killing and had led Sheriff Deputies to the weapon, the Sheriff and DA had already indicted six innocent men for this crime. A career criminal named Mary Arceneaux, who was headed to prison for multiple fraudulent bad check charges, told authorities that she had gone to the Hasty Mart with three men who robbed the store and killed Mr. Gladu while she waited in the car. From photos, she identified David Alexander, Harry Granger and Sammy Derouen as her accomplices. When the Sheriff mistakenly arrested Sammy Derouen’s brother, Herbert, Mary Arceneaux simply changed her story to include Herbert rather than Sammy. David and Harry vehemently professed their innocence. After an all night and physically abusive interrogation, the Sheriff extracted a confession from the mentally retarded Herbert Derouen that wildly contradicted Mary Arseneaux’s account of the crime. Derouen named three additional men and stated that all six of them rode out to the Hasty Mart in two cars in broad daylight. 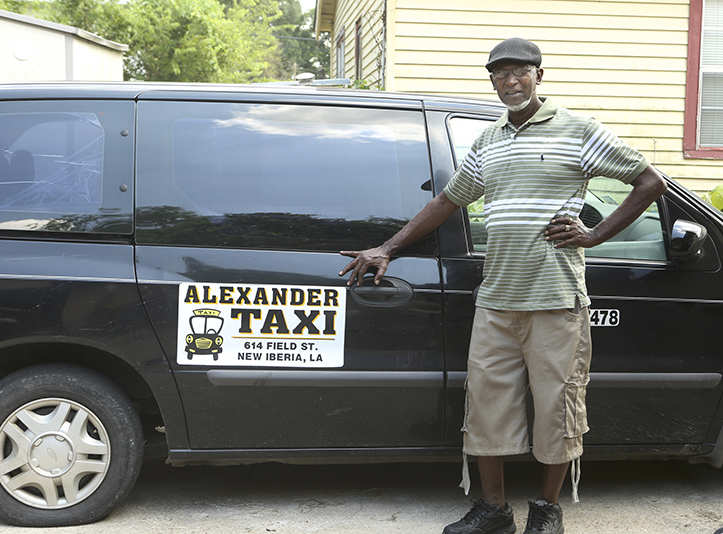 As part of his preposterous story, Derouen indicated that one of the cars used in the hold-up was a city taxicab with bold lettering on both doors identifying the cab company’s name, phone number, and city permit. Derouen’s confession went on to state that all six men marched into the store to conduct the robbery. These two witnesses never would get their stories straight. Nevertheless, based on their “confessions” all seven (including Mary Arceneaux) were indicted just five weeks after the crime. Ms. Arceneaux and Mr. Derouen were given immunity providing they would testify against the other five. David Alexander and Harry Granger were convicted and sentenced to life based on the conflicting stories given by Arceneaux and Derouen. The three remaining men reluctantly pled guilty to accessories after the fact, and spent less than five years in jail instead of a life sentence. Centurion Ministries and New Orleans attorney, Peggy Woodward, spent ten years trying to exonerate David and Harry. In addition to C.M.’s efforts, it is important to mention two lawmen, Errol Romero and Steve Woodring; both men went to great lengths on behalf of David and Harry. 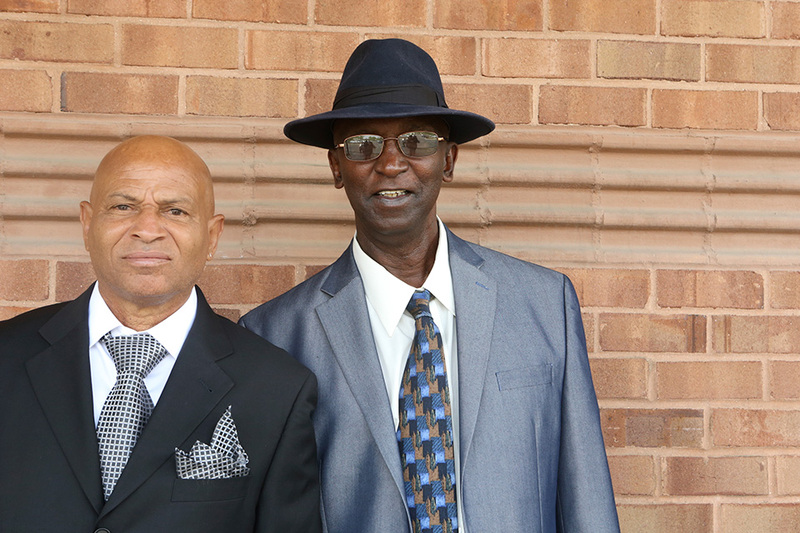 Harry and David live in New Iberia, the same town as their wrongful conviction occurred in. David run his parent’s taxi company.